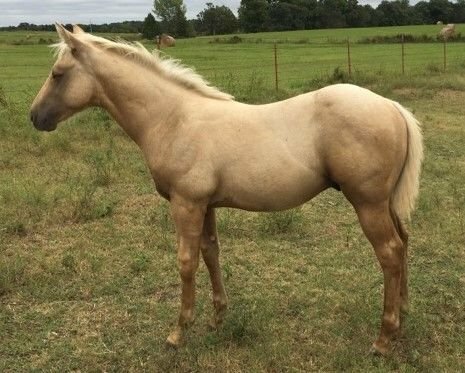 Gorgeous dark palomino colt. Dam is SMART LITTLE LENA bred. Cowy boy.